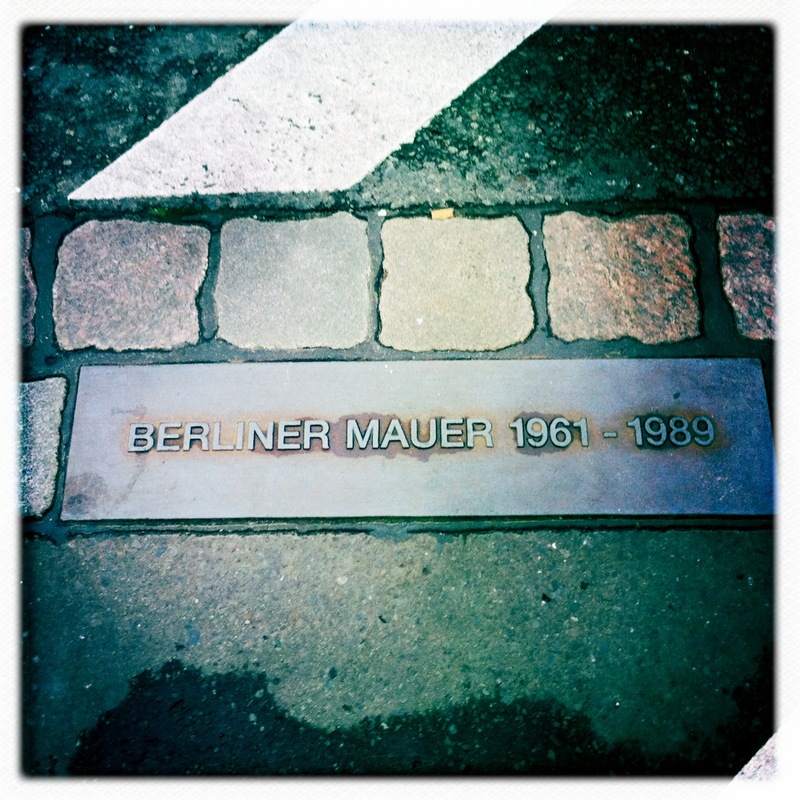 The placement of the former Berlin Wall is marked on the ground throughout the city. Day 13: Breakfast in hotel and then Jeff is off to the Checkpoint Charlie museum and Topography of Terror exhibit in the old Gestapo headquarters. The girls and I head to Potsdamer Platz, once one of the busiest intersections in Europe, but left a wasteland during the Cold War because of the Berlin Wall. It is now a busy hub for transit, shopping and business. Somewhere along the way we took Panoramapunkt, “Europe’s Fastest Elevator” up twenty four floors in 20 seconds. At the top we took in an outstanding 360 degree view of Berlin. Through Potsdamer Platz we followed the line on the sidewalk that signified where the Berlin Wall once stood and saw some of the segments of the old wall. I read the historical information while trying to keep the girls from running into the street. At the Memorial to the Murdered Jews of Europe we listened in on a tour group. (I’ve found that is a good way to get information that is a bit more in-depth than the guidebook.) 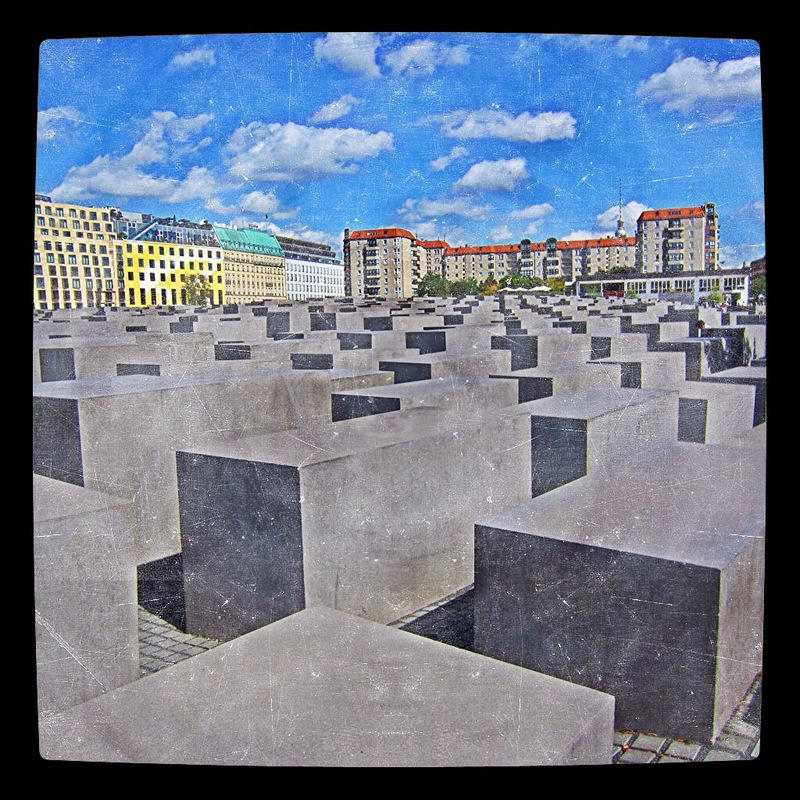 The memorial is a poignant tribute to Jewish victims of the holocaust. It consists of 2,711 pillars organized over an area about as big as a city block. To me, it seemed like a cemetery, but the meaning is left to individuals to interpret. We finally met up with Jeff at the Brandenburg Gate, built in 1791, it is one of the original gates in Berlin’s old city wall and once separated Prussia from Brandenburg. 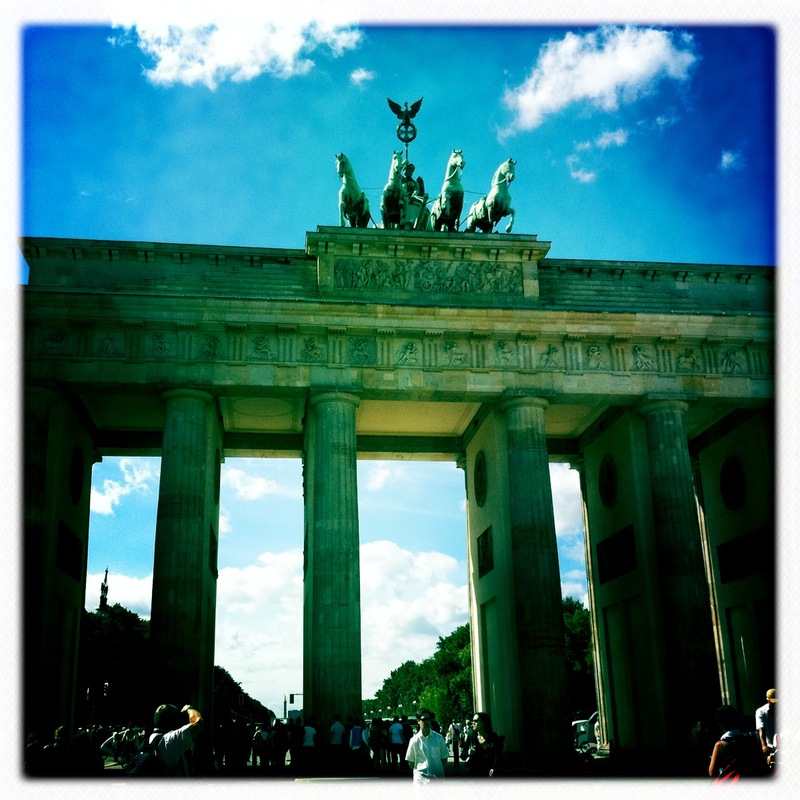 It sat unused for 25 years, another victim of the Cold War’s Berlin Wall. We mingled about Pariser Platz directly adjacent to the Brandenburg Gate, also part of the no-man’s land created by the wall, but now a busy tourist spot and home to the US, French, British and Russian embassies. 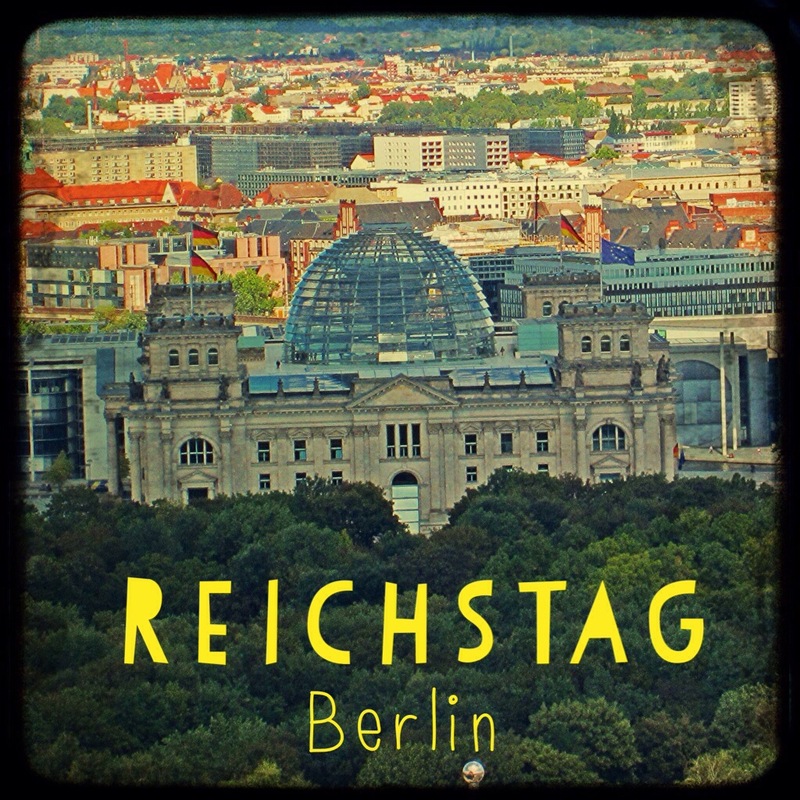 We found out too late that we needed to request reservations to the popular Reichstag (parliament building), with it’s notorious glass dome, so we took pictures from outside. The glass dome was built in 1999 to replace the original dome that was set on fire during WWII. The building was not used between 1933 and 1999. From the Reichstag we followed the Unter Den Linden (the main drag) through the heart of former East Berlin, across the Spree river and on to Alexanderplatz just beyond the TV Tower (very, very similar to the Pearl Tower in Shanghai). In Alexanderplatz we stopped in the Galeria Kaufhof department store (with a full gourmet grocery store on the main level) and picked up some food to cook for breakfast and dinner. Exhausted, we took a stab at the underground train and get back to the hotel without a hitch. Berlin is a fabulous city, much different than the Bavarian cities and towns we have visited thus far, but still fascinating in its own right. I’m glad we’ve got a few more days to explore.